Most school districts and schools in the US are a little reluctant about starting a presence in social media avenues like Facebook, Twitter, YouTube, LinkedIn, etc. Some of these concerns are valid and understandable, but in today’s social media driven world, it is important that school districts and schools get on board. If school districts don’t start an official presence then it is possible that someone else will begin to represent the district or your school in Social Media and it may not be the reflection that you were hoping for. This post will share some helpful tips about getting started. In 2009 Union County Public Schools (the 6th largest school district in NC with approximately 40,400 students) decided to launch into the social media world. I had the privilege of helping to drive that initiative and having to do all of the heavy lifting to get accounts setup and to help educate everyone. Currently all 53 schools, our Education Foundation and the UCPS district has an official, branded prescence on Facebook, Twitter and YouTube. The district links are below for your viewing pleasure. UCPS is not exactly where we want ot be yet in terms of using our social media channels to their fullest potential but we are getting there and want to be leading the way for the rest of the nation to follow. Recently, Luan Ingram, Chief Communications Officer, and Don Mace, Web Communications Coordinator, presented on the topic of Understanding and Using Social Media to the NC Association of School Administrators. The presentation discussed and answered potential questions about incorporating social media into your district or school communication strategy. Some of the highlights are below. What Social Media is NOT! It is important to understand what incorporating social media into your school district’s or school’s communication plan is NOT. Why should school systems and schools even consider using social media? Ok so how does a school system or school get started using social media? What should I do to become more comfortable with the tools? Make it official – brand it! How do I find time to Post, much less monitor? Posting and monitoring can be very simple and efficient through the use of email and other third-party tools that allow you to post to your sites. Also you might assign at least one Social Media Manager at the school level to post and monitor on behalf of the school. Tie your Facebook posts to Twitter (but NOT the other way around) and your YouTube posts to Twitter and Facebook. Repurpose what you are already creating for your website. use links to drive traffic back to your website (still your number one communication tool.) Take photos or make short videos to high light events and activities that showcase your school’s and district’s culture. Encourage students to write and create content. Allow fans to post on your wall. How do I prevent negative comments? First develop and communicate a clear “Rules of Engagement” policy for your social media platforms. For example, here is the UCPS Welcome tab on our Facebook page. Prior to the change to Facebook’s time line layout, this used to be the first thing non-fans saw. Monitoring is very important, not censoring. Sometimes comments and questions are valid ways to generate discussion. Finally if you are worried about negative commnets, it is highly likely that therer are already negative comments about your school district and school on the web. Keep you official social media channels positive and promote the good people and things happening in your district and you will not have any problems with this one. How do I protect student privacy? The same way that you are currently protecting them. Use your Photo, Video and Media release forms. Also FERPA laws allow you to recognize and name students for honors and awards that they have won. Again keep everything positive and promote your school district or school. When is all of this going away? It’s not! 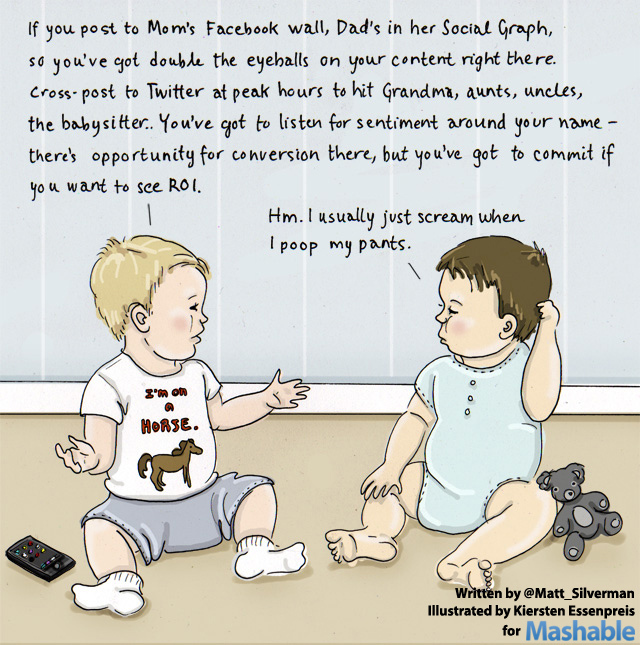 Social media is not a fad. It is here to stay and is evolving and growing every minute. Jump on board or be left behind. Hopefully this will help you as you start to dive into social media for your school district or school. I’ll be glad to answer any questions or help you get started. Just reach out to me. 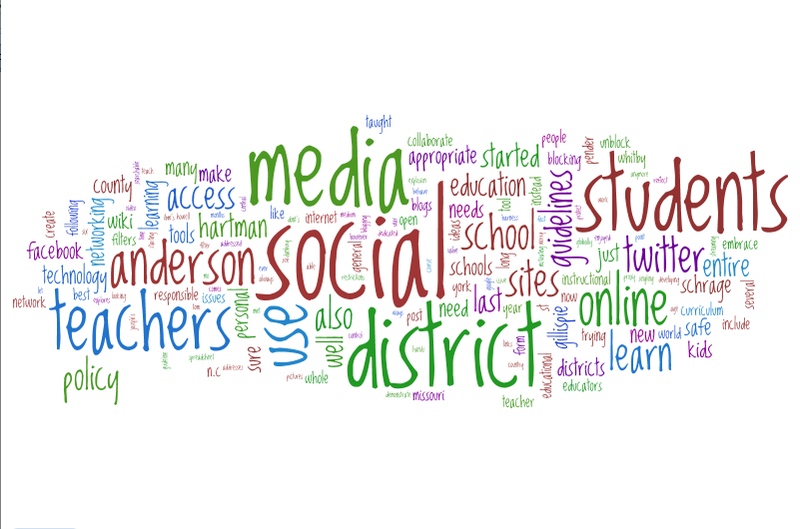 Also I would love to hear some of your stories about your school district’s or school’s foray into social media. Please share them in the comments below. ← What’s Coding Got To Do With It?